Yair ben Menashe conquered their villages and called them Chavos Yair.. Novach went and captured Kenas and her suburbs and called it Novach after his name [Matos 31,41]. Rashi brings from Reb Moshe hadarshan that the word לה is spelled without the necessary dot in the letter hey so that it could be read as לא which means no. The Torah is alluding to the fact that this name of the city that was called by Nvach in contrast to Yair’s didn’t remain. One must ask of what significance is it whether the name remained or not? 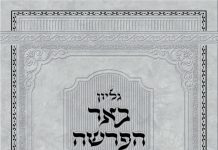 Rav Schwab ztl explains that although a person owns possessions, these possessions are not really part of his essence but rather they belong to him on his periphery. [In fact in lashon hakodesh we find that when one wants to say I have, the term used is יש לי. One begins the sentence with יש there is and not with the normal subject אני. For possessions are not you and they don’t even define you but rather they just belong to you.] This is why Yair called his villages properly with the name Chavos Yair the villages of Yair. Novach in contrast did not call his city עיר נבח the city of Novach but instead he called it Novach as if he and the city are one identification. This hashkafah is not one of the Torah and therefore it cannot have any continuity. In contrast to Novach, the identity of a Yid with mitzvos is laudible. The more a person learns and toils over Torah, the more he and the Torah become one. This identity is so united with the Torah that Chazal say [Makos 22b] how stupid are the Babylonians that they stand up for the Torah and not for the talmid chacham who himself is a walking Torah. So too we find by the mitvah of Tefillah that one should identify with davening until his essence becomes a constant tefillah and yearning for devaikus with Hashem. this concept we find by Dovid Hamelech who said on himself [Tehillim 109,4] ואני תפלה . Even within the negative commandments we find how one gains a special title by observing not to transgress them. If one distances himself from lies he receives the title of an איש אמת . If one guards himself from eating non kosher products then he is called a קדוש . An individual he refrains from machlokes and avarios between his fellow man is labeled an איש שלום as we find by Dovid Hamelech [Tehillim 120,7] אני שלום . If one keeps the Shabbos meticulously he becomes a “lebidiker” Shabbos Yid. Today if one was to ask someone about his identity he would immediately whip out his social security number, his student number, his cell number, his checking account number, his credit card and debit number, his mortgage number, credit score number etc. It is truly incredible that we are identified with a number מספר which is gemartira מצרים which means constriction. Identity theft has become one of the biggest fears of our society. However real identity which is the essence of the person cannot be stolen or robbed. Our society is one enormous stimulus package. The media spends billions of dollars to brainwash us so that we will eventually succumb to identify with their products being sold. If you fail to take the bait and be a sucker they make you feel as if you are some type of nerd, plague, alien and outcast. Take smoking Marlboro. They could never sell that alone when it has the high price of lung disease and other unwanted desirables. So it was necessary to dress it up and repackage it by making you envision yourself as the macho cowboy of the wild west on a galloping horse with boots and spurs and that ten gallon hat, as you lasso in that run away steer. They like Novach attempt to cheat man out of his originality and uniqueness by offering him some shabby substitute identity which is totally meaningless and which leaves one only with the fantasy that he belongs to “them”. This hallucination only lasts momentarily for before you look around they have already changed the styles for another year of suckers to prey upon and enrich their perverted ritzy hedonistic lifestyles. which is sixty and the letterס means dependability and support. But they know when the malach hamaves comes to town and they start barking. Although their bark on the outside is friendly and inviting, inwardly the intentions of much of the media are to strip the Yid from his eternity. No wonder the leaders of the generation before Mashiach are likened to the “canine” which symbolizes כנען On one hand he seems like man’s best friend and he is מכניע to you as his name suggests, yet he demonstrated his true colors when he gave in his own grandfather to be castrated and sodomized. When I was a bachur I had a roommate who one morning told me that even though the Chazal had called the yetzer hara with seven names, he would add one more – Zelig. I asked him why this name in particular? He responded by saying because he has difficulty getting out of bed in the morning and his yetzer hara calls to him every day zeh lig – this one lie. Well if I had to call the yetzer harah a contemporary name I would him the Yiddish name of Label. No, not because of Johnnie Walker as some might think which is also another problem one day we will deal with. Rather, because we base our own identities with labels that we import from the outside instead of labeling ourselves with our Torah and mitzvos that are our true everlasting identities. If one identifies with a sports team and when they win he wins and when they lose he loses, he is shortchanging himself. His true identity does not grow or flourish an iota with these meaningless vicissitudes. Our Chazal say Megillah 27 on the passuk that Nevuzradim burned every בית גדול . that there is a dispute of opinion between Rav Yochanan and Rav Yehoshua as to what is the definition of a בית גדול . One says it is the Beis Medrash that you grow there Torah and one says it is the Bais Hakeneses where you grow tefillah. 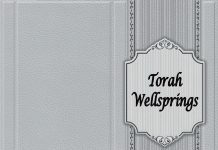 What is the meaning of a place where it grows Torah and Tefillah. It means a place where you personally grow in Torah and Tefillah. For it is through Torah and tefillah that one’s identity is affected and elevated for the better to come closer to Hashem. I think it is fascinating that the word DOG backwasds spells G-d. Upshot? It is up to man to choose whether his life will revolve around listening to the many barks of man’s supposedly best friend or to listen to the eternal loving words of Hashem his Creator and sole sustainer of the entire universe every mini split second of the day from the beginning of time until its end and even far past that.